Voting is the process by which people arrive at a decision on one issue or the other using various methods such raising of hands, casting of ballot or simply saying yes or no. 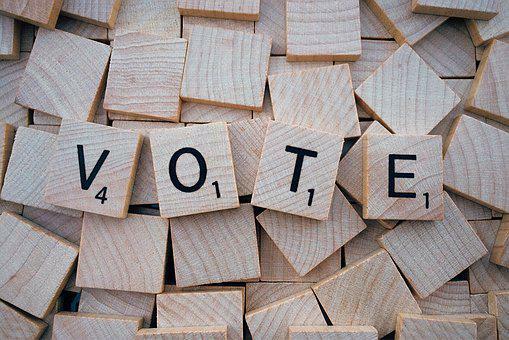 Voting is important for several reasons including the fact that it confers legitimacy on a government, helps the citizens to participate in the political process etc. If voting is so important, why do some people abstain from voting? When a person abstains from voting, it means he or she failed or refused to cast a ballot or take a side on an issue. Countries at the United Nations general assembly meeting could decide to abstain from voting on a particular international issue. 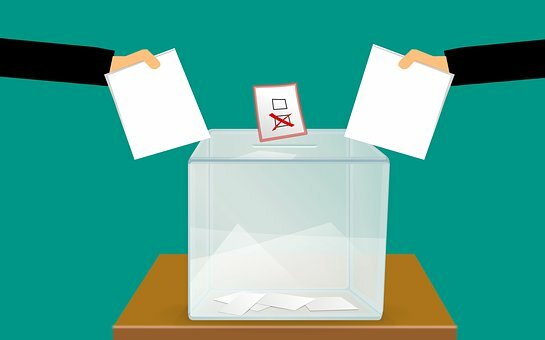 Members of Parliament can also abstain from voting on an issue on the floor of the house and citizens can decide not to vote in a general election. There are many different reasons why people abstain from voting. One of the reasons why people abstain from voting is on legal grounds. The laws of every country stipulate who can and cannot vote in an election. If an individual fails to fulfill the conditions of the law, he or she cannot vote. In many countries, one must attain the age of eighteen to qualify to vote. One must ensure his or her name is on the voter register otherwise one would not be allowed to vote. One must be a citizen of the country else one would not be given the chance to vote. Another reason why people abstain from voting is that they may be far away from their registration centres on the day of voting. A person may have registered in one state but before the day of elections, the person might have travelled to another state and might not have been able to come back for various reasons. Once the voter is not within the electoral jurisdiction and cannot come back by the time the polls are closing, that person cannot be able to vote hence the abstention. Some may also not be in the country at the time of the elections. Some diplomats working at the High Commissions of the country in faraway parts of the world may be compelled to abstain from voting because they are physically not available to cast their ballots. A citizen of Nigeria who works at the High Commission of Nigeria in say Australia may be unwilling to travel down to cast his or her ballot because of the cost of transportation to his or her country and back. The cost of the journey would compel people to abstain from voting. Some countries have found a way around this hurdle by allowing people who stay far away to cast their vote by proxy. Again certain administrative lapses may prevent people from casting their votes in an election. An individual may have registered to vote but on the day of election his or her name may not be on the voters’ register. It could also be that not enough electoral material were sent to the polling station so by the time it got to the turn of a voter, there is a shortage of voting materials for the person to vote. In the 2007 general elections in Nigeria, some of the polling stations did not receive their full complements of voting materials so some people could not vote. Some citizens abstain from voting because they have become fed up with politicians, especially those in developing countries who appear to be interested only in amassing wealth for themselves and for their family members. People have had confidence in presidential and parliamentary candidates and their parties, hoping that when they come to power, things would change for the better. However, in many cases, this does not happen. Such people just get fed up with every politician and decide not to vote at all since it does not make any remarkable difference in their lives. Another reason why citizens abstain from voting is based on religion. In Ghana, for example, the voting day has been constitutionally fixed on 7th December every election year. If this falls on a Saturday or Sunday which is a day of worship for some adherents, the voting day would not be shifted to favour them. Some religious people may be too busy at church to go out and vote. Some may even think it is inappropriate to leave the work of God to go and select leaders who have no positive influence upon their lives. Some people abstain from voting because, in their estimation, the electoral process disadvantages them. Some ruling governments may use technicalities and influence on the Electoral Commission to disqualify a political opponent for fear that the ruling government could be defeated at the polls. This action by a ruling government can compel the opposition party to tell their followers to boycott the election altogether. This can cause mass abstention. 1. Highlight six reasons why some citizens abstain from voting.